NetGong is a network monitoring tool that combines a minimal design with sophisticated technology to make network monitoring faster, safer, and easier. Lets you verify the network connectivity of a list of user-defined devices or services. Provides real-time and historical reporting to assist you in tracking network resources availability. 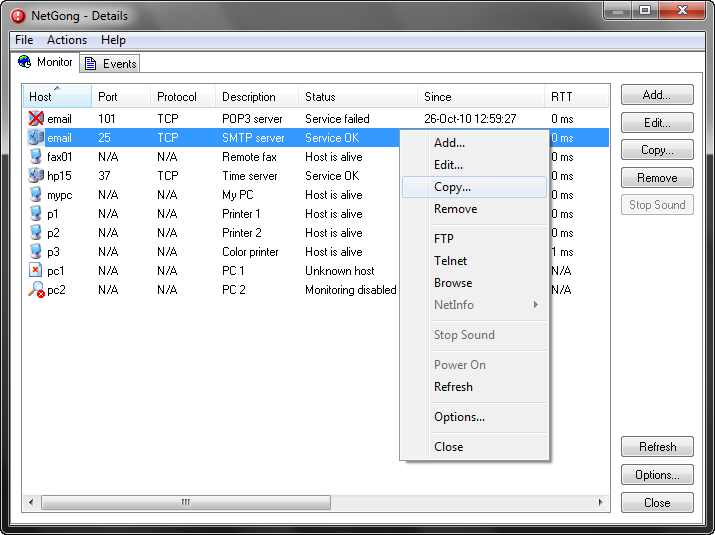 Helps keep track of network resources availability in an easy to view list.